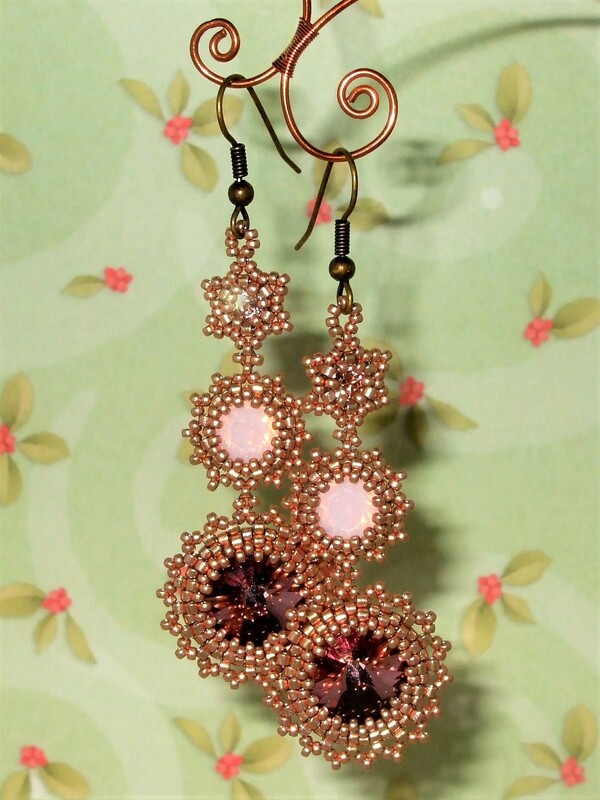 In this workshop you will learn how to create bezels for a Swarovski crystal rivoli and chatons, then join them together into these sparkling earrings. You can choose from either silver or champagne gold beads to create the bezels. Each kit contains a different colour combination of rivolis and chatons, and includes a printed copy of the tutorial for you to take home. 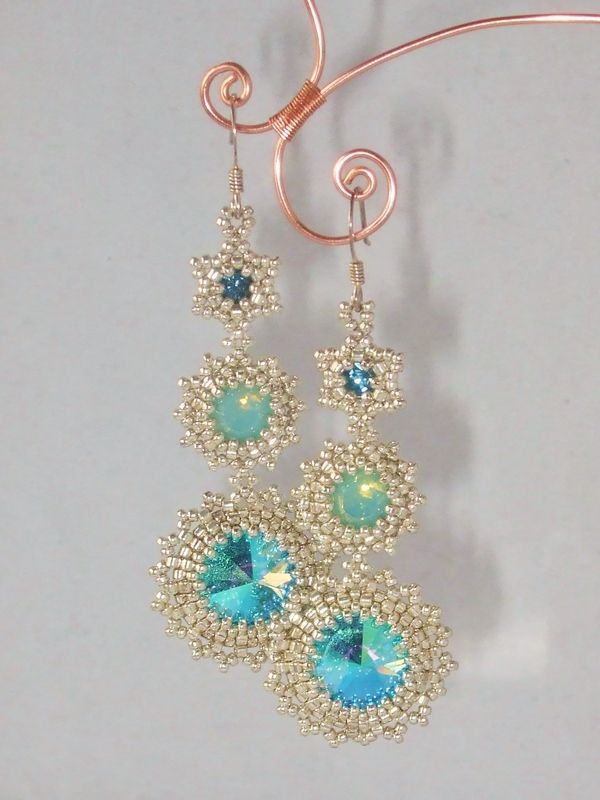 Each kit includes enough beads and thread to make one pair of earrings, along with sterling silver or vermeil earwires.